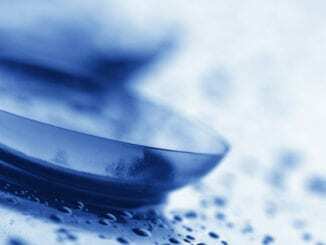 HomeBlogContact LensesCare and HandlingHow Long Should You Wear Contact Lenses? Contact lenses have made it possible for many people to enjoy their everyday life free from their eyeglasses. However, you should definitely be giving your eyes a break from wearing contacts every time you get a chance. Wearing your contacts for longer than they should be worn for may cause discomfort, and increase the risk for eye infections. When Do You Replace Them? So how long should you wear contact lenses before taking them out? If you go and ask eyecare professionals that question, you will get an answer that could range anywhere from 8 hours per day to 16 hours per day. Unless you have an extended wear lens which could be worn longer. Realistically though there is not truly one answer that would be the correct answer for everyone. The amount of time that you can wear your contacts per day is going to ultimately depend on you and what you do on a daily basis. Environment/Weather – The environment that you are in has a lot to do with how long you are able to wear your contact lenses. If you work in an environment where there could be a breeze, or it is windy out your contact lenses may dry out quicker. Hotter weather also makes your contact lenses dry out quicker. This might reduce the duration of the time you are able to wear your contacts, you could use contact lens rewetting drops to help with them drying out. Dry Eyes – If you already have dry eyes, contact lenses could make it worse. Eye drops may help here, if not sometimes you may be able to talk to your eye doctor about a change in brands, that may help as well. Job – Depending on your job, this may reduce the amount of time you will be able to wear your contacts. Jobs that require you to use a computer could dry out your contacts more due you less blinking. Corneal Ulcers – There are a number of different ways for you to get corneal ulcers, but overwearing your contact lenses is one of the things that could lead to it. Hypoxia – This problem is quite common in people that wear extended wear contact lenses. Even though those lenses are rated for you to wear up to 30 days, some people might not be able to wear it for that long. Corneal Hypoxia occurs when the cornea does not get enough oxygen. Keratitis – This is when the clear front surface of your cornea gets inflamed. Keratitis does not only happen to people who wear contact lenses but is common in people who overwear their contact lenses or don’t care for them properly. Remember these are only some of the risk, various other factors such as how frequently you over wear your contacts, and how well you care for your contacts could increase the risk as well. There are three different types of contact lenses are available for purchase in the market today. Which type of contact lens you are wearing depends on what you discussed with your doctor during your eye exam. Remember if you want to try different types of contacts, it is best to go talk to your eye doctor about it and request a trial lens. That way you will know for sure if you like the lens or not. Daily Wear – Daily wear contact lenses are put on every morning when you start your day. Then at the end of the day, you take off these contact lenses. Extended Wear – These contact lenses that you can sleep in and wear across multiple days. Extended wear lenses are recommended to be worn for no longer than 30 days continuously, but it is recommended that the contact lenses are taken out every 7 days to give your eyes a break. There is a general consensus around the optical community is that extended wear lenses increases the risks associated with wearing contact lenses as opposed to daily wear lenses. Contact lenses accumulate a build-up of protein deposits from your eyes, and various other contaminants on them. The more protein deposits and contaminants on your contact lens, the less oxygen that is getting through that contact lens to your eye. Therefore frequently changing out your contact lenses is advised to decrease the risk of eye infections. Most contact lenses today come in one of three changing frequencies. Daily Disposable Lenses – Daily disposable contact lenses are put on in the morning to start your day, and taken off that evening and thrown away. From personal experience, I found that these were the contact lenses that I was able to wear for the longest in one day without experiencing discomfort towards the end of the day. Bi-Weekly Disposable Lenses – Bi-Weekly disposable contact lenses are put on in the morning to start your day. Then in the evening before bed, these contact lenses would be taken off and stored in a contact lens storage case with contact lens solution. The next day you would use the same contact lenses and repeat that for 2 weeks before throwing those contact lenses away. Monthly Disposable Lenses – Monthly disposable contact lenses also put on in the morning and taken off and stored and used for the month before needing to be replaced. Remember your contact lenses do not have any indicator to let you know that they need to be changed, and they don’t always feel uncomfortable before needing to be changed either. It would be a good idea to write down the day you change your contact lenses on the box or make a note of it in on your calendar on your cell phone. Wash Hands – Always wash your hands before handling your contact lenses. Any contaminants that could be on your hands could be transferred over to the contact lens if you do not properly wash your hands before handling them. Avoid Overnight – Try not to sleep in your contact lenses whenever it is possible. Even if you are wearing extended wear lenses that permit you to sleep in them try to take them out at least once every 7 days. Avoid Overwearing – Do not wear the contact lenses longer than the manufactures designed duration. Daily disposables should be thrown out every day, biweekly contact lenses are thrown out every 14 days, and monthly disposable contact lenses are thrown out every 30 days. Keep Case Clean – Remember if you are using a storage case for your contact lenses to make sure you regularly clean your contact lens storage case. It is also recommended that you change out your contact lens case at least once every 3 months. You may find that some contact lens solution manufactures might recommend changing the case every month. Use Correct Solution – Only clean your lenses with contact lens solution approved for your contact lenses. Expired Contacts – Never wear expire contact lenses. The solution that the contact lenses are stored in could have an unstable pH and could lead to severe eye infections that may lead to blindness. Wearing Time – Wearing your contact lenses the least amount of time possible is always going to be the healthiest option. Being more proactive about giving your eyes a break and taking them off when you get home, or skipping wearing contacts on lazy days at home will all help keep your eyes as healthy as possible. Get Help – If you feel any strange redness, discomfort, sensitive to light, or change in your vision be sure to contact your eye care practitioner as soon as you can. Hand Sanitizer – DO NOT use hand sanitizer to clean your hands before handling your contact lenses. Even though hand sanitizer cleans many germs you do not want that sanitizer on your eyes. Wear Overnight Without Asking – DO NOT wear your contact lenses overnight if you did not talk to your eye doctor about it. He might not have prescribed you a contact lens that permits you to wear overnight. Be sure to ask when you get your contact lens exam if you want to wear your contacts overnight. Soap & Tap Water – DO NOT use soap and tap water to clean or store your contact lenses, always use approved contact lens solution. Saliva – DO NOT use the saliva from your mouth to clean or wet your contact lenses. Your mouth contains a lot of bacteria which you do not want anywhere near your eye. As gross as this sounds I have witnessed this happen in front of me. There are many benefits to wearing contact lenses and you wouldn’t want a silly eye infection to keep you from being able to do that. So follow all the proper care instructions, and you will lower your chance of getting one. As always it is recommended to have a backup pair of glasses that is the current prescription so you could give your eyes a break in the evenings and just in case there is a time when you are not able to wear your contacts. How long do you wear your contact lenses every day? Let me know below! As always thank you all for reading, and if you have any questions, comments, or concerns don’t hesitate to leave them below and I will get back to you as soon as possible.